SWAMP Setup. Step by Step. 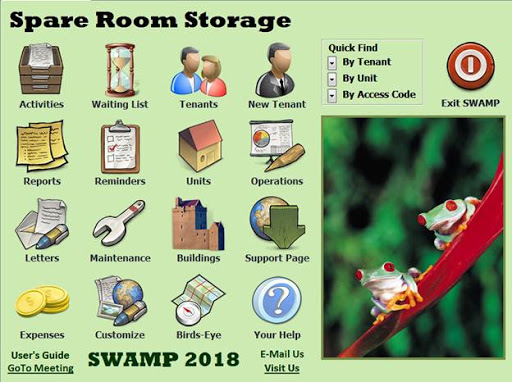 Use these steps to setup SelfStorageSMS in your SWAMP software. 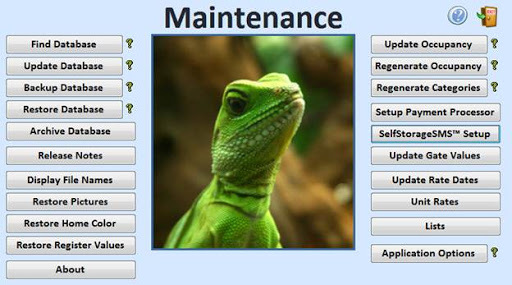 In the SWAMP software, select "Maintenance". Enter the API Username and API Password created during the SelfStorageSMS FREE TRIAL sign-up. If the test is successful, select the Exit icon to save your work. Under SelfStorageSMS, select "Update Values". Select the Exit icon to save your work. 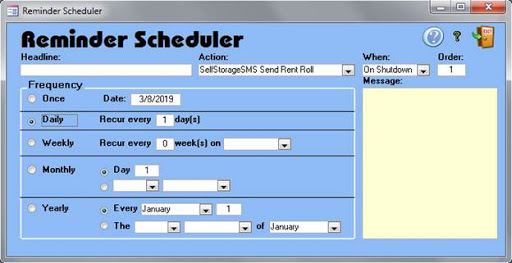 Select the Action "SelfStorageSMS Send Rent Roll". Select the When "On Shutdown". Select the Frequency "Daily" and "1". 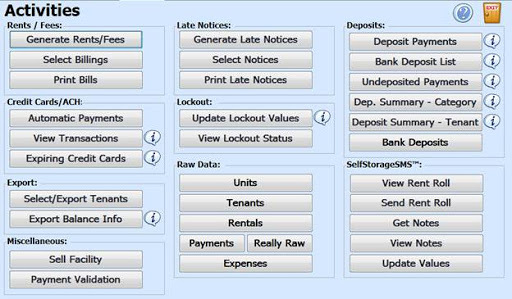 Select the Action "SelfStorageSMS Get Notes". Select the When "On Startup".